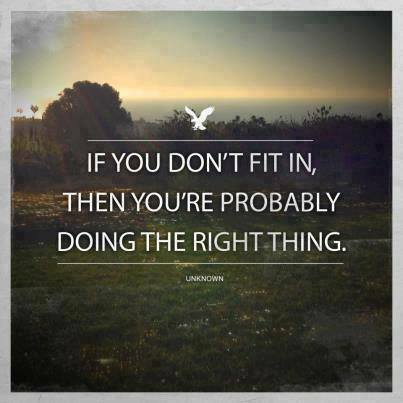 If you don’t fit in, then you’re probably doing the right thing. I don’t know who this came from but it’s certainly true. When i think back to my younger years, my lowest times were when i was trying to fit in, somehow. Either i was shutting down my real self, to be like my peers in the hope that i would win their approval, or i was doing the right thing by the standards of my teachers or professors and “getting a real education to secure a safe job”. What i should have done was continue with art and design, which made my heart sing. Instead i studied maths and physics to become an engineer! Yikes! And then i spent years after graduation trying to move away from engineering. 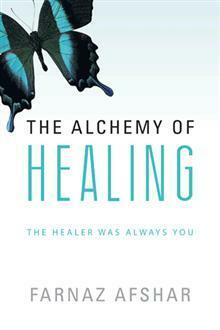 In my book The Alchemy of Healing, i talk about the awkward school years where i ignored my creativity to follow a very logical and rational education path to university. And i now want to prevent other kids from making the same mistake. If only we knew then, what we know now. What would you tell your younger self, if you had the chance? I would tell a younger me to do what makes your heart sing. If drawing and painting brings you joy, then do that. Do it until you feel like doing something else. And then do something else. Ignore the advice of teachers, most don’t know what they are preventing you from accomplishing. No one has a right to limit you by telling you what you are not capable of. Follow your bliss and watch as your life unravels in miraculous ways around you. And that is the secret to living a happy and abundant life, wealth and health will follow you wherever you go, as long as you love what you do. Following the crowd never got anyone anywhere. If you don’t fit in, then congratulations. You are a child who has survived. Don’t ever let that change. You have quite a few typos in different areas of your text. Here’s an example: You are a child you has survived. Should it be: You are a child; you have survived. ? I somehow landed on your site and am enjoying your written ideas, experinces tremendously! Thanks for sharing and encouraging us on our healing path. This last article particularly resonated with me as i too was advised by my parents to pursue architectural engineering in a time when i just wanted to immerse myself in fashion design (which was just another rationalization/”pragmatization” for wanting to be a painter even prior to that wish) and let my creativity flow there. The impulse to start listening and trusting my own impulses more often and more dilligently is getting stronger lately. Dearest panacea, thank you very much for taking the time to comment. I appreciate your feedback, and you’ve inspired me to get writing again. Recently I’ve been very busy with work and haven’t made time post new articles, but I will definitely post some more.